All Things X: X-names...What the heck do they mean?? X-names...What the heck do they mean?? That's precisely how I landed on this nifty article that they had featured on their main page (in honor of X-Men First Class of course!). Pretty rad idea...I mean, it being an online dictionary, what better way to cater to the X-appetite (that is bound to grow after watching XFC) than providing us with meanings of the X code-names! I mean until I saw this page I never even knew that "Magneto" was ACTUALLY a word! I just thought it was the word "magnet" with an "o" added at the end lol! So check out the link & brush up on your X-vocab! 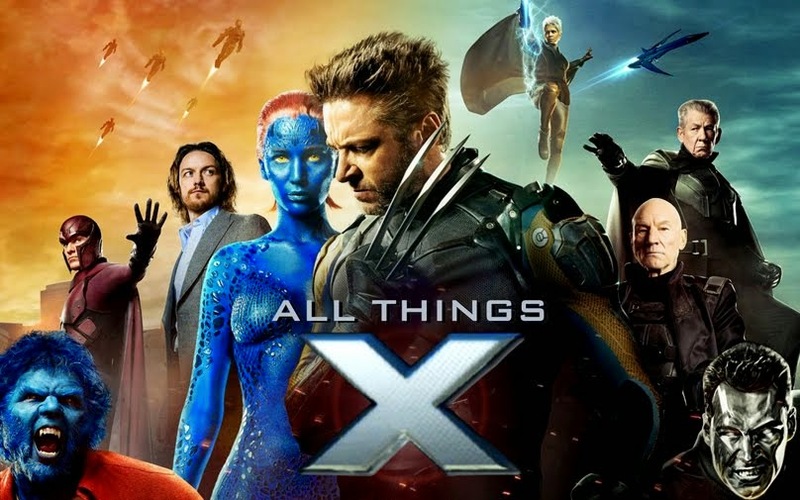 You won't believe how different the personalities &/or powers of some X-Men are from the meanings of their names!You can see the definitions in list-form, as flashcards or even play a quiz to test your knowledge of the names! And when we talk about the X-codenames, I think we all think about that awesome scene from X-Men First Class where they choose they aliases! It was precisely what I was talking about when I spoke about the "camaraderie shown between the characters..." in my review for X-Men First Class. I became a huge X-Men fanatic ever since I watched the first X-Men film back in 2000. Since then my voracious appetite for all things X has just grown & finally led me to starting my own blog in 2011. Hope you'll enjoy it! Xtreme: Marvel Wallpaper releases for June! Xpose! Official X-Men First Class wallpapers! Upcoming updates in Marvel Heroes & Marvel Avengers Alliance! 2013 Comic Con Schedule & New York Comic Con 2012 cosplay! X-Factor! The MegaCon 2012 Mega Cosplay! Xpose! X-Men Anime Wallpapers & Background Art! Xcite! All the Concept Art for X2 in one post! Comic Book Nerds Are Hot!